Opals have been part of my (John’s) life since I was a toddler. I remember watching my father sorting through opals to be sold. Mostly they were the traditional oval or round shapes popular at the time. But what interested me was how the colours changed when I moved the stone. Not only the colours but also the patterns changed completely. Little red splashes turned to orange lights, then yellow, to green and finally blue, no back to red again. The opal that looked like an emerald lake suddenly changed to an orange sunset? That sort of thing sticks in a kid’s brain. 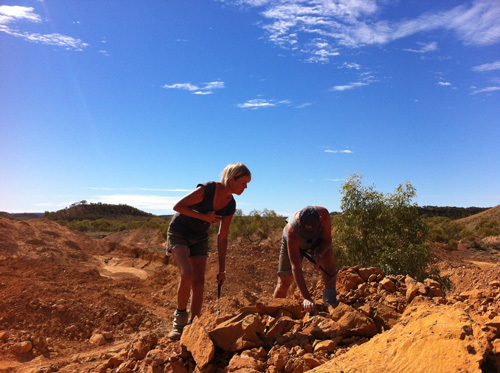 Little did I realise then that one day I would be mining my own opal and not just mining but, with Leanne, cutting and polishing the stunning Boulder Opal from our own Queensland mines. 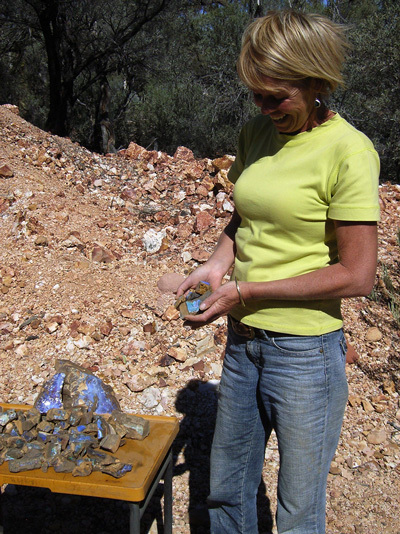 Leanne has a background as a hairdresser and artist and developed a love of opal through her travels with John to the opal fields throughout Australia. 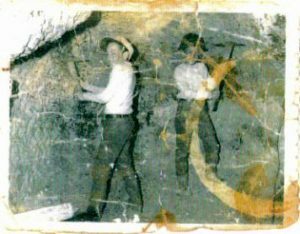 Our move to full time opal mining was a natural outcome of this passion. For years Leanne was one of only four women working the Opalton fields. 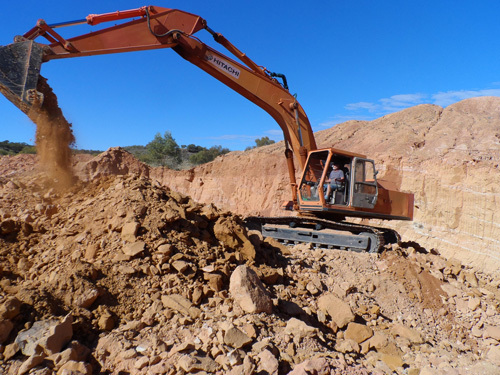 When we started mining we were selling the rough to other opal dealers. 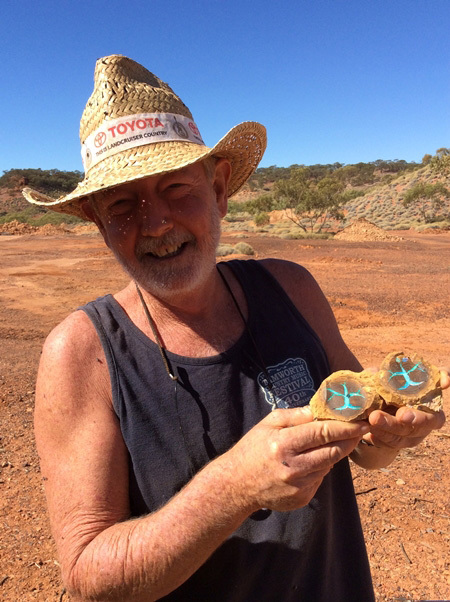 Then we learned how to cut and polish our own Boulder Opal as well as light and black opal from the other Australian fields. 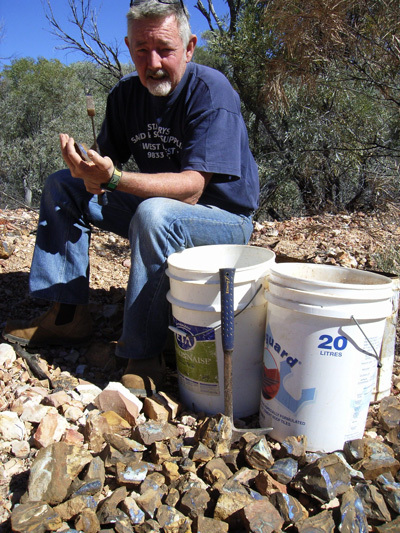 Now, we sometimes buy rough opal from other Australian miners to compliment our own. It was our view that most well designed opal jewellery was highly priced and were routinely set into conservative styles that hadn’t changed in years- we wanted to create unique chic opal jewellery both affordable and modern. So we started to design our own. The idea for each original design often starts in our mind as we are shaping the opal. 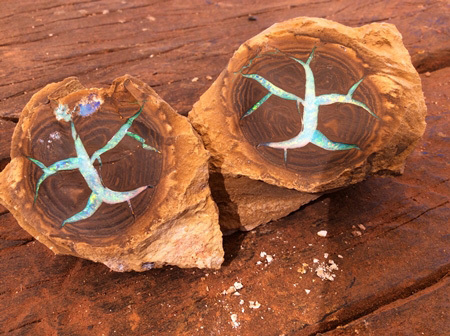 The individual characteristics of each boulder opal inspire the shape. The design is an extension of the uniqueness of the opal’s shape, colours and pattern. We are grateful that our original handmade designs have been so well accepted. 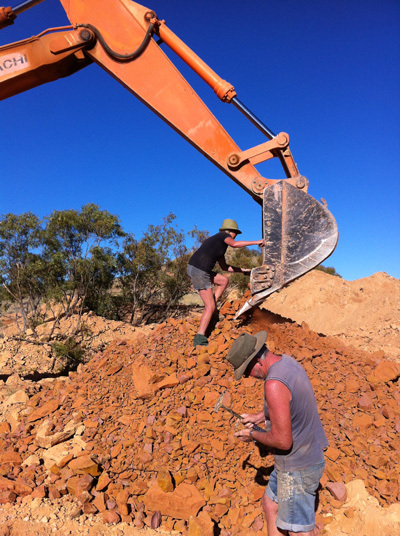 Photos from our latest dig.